1, Launch a discharge arrangement, the open and close of the discharge gate should be accurate. Hanging water with water pump, water supply system should work normally. 2, Close the discharge gate, add required mixture into the hopper, lifting the hopper. 3, Start the mixing motor, two semi-axes rotation direction shall be in accordance with the indicated direction, if the direction is wrong, you should change the power supply wiring. 4, Check motor and electrical components to see if they are reliable, it is necessary that the distribution box shell grounding reliably. 5, To check the gear box and the lubrication part to see whether the lubricating oil meet them. 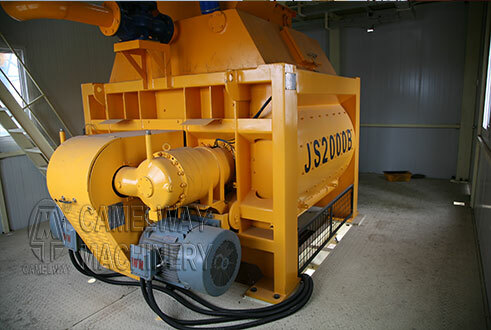 Start the mixing motor, two semi-axes rotation direction shall be in accordance with the indicated direction, if the direction is wrong, you should change the power supply wiring.